On June 22nd 2002, Argyll veterans and families gathered on the Finlaystone Estate near Glasgow for the unveiling of a commemorative stone on a hillside overlooking the Clyde dedicated to those of 2nd Argyll and Sutherland Highlanders and others who lost their lives in the Malayan Campaign and subsequent captivity. The 2nd Argylls [the old 93rd Highlanders] arrived in Singapore from India in September 1939 as part of the 12th Indian Infantry Brigade and moved into Tyersall Park Camp early in 1940. Under their new CO Lt Colonel Ian Stewart they began a period of intensive jungle training which earned them the nickname 'the Jungle Beasts' and which earned Stewart the reputation with Malaya Command of being something of a crank. The Argylls were developing tactics which involved aggressive, fast mobility with the use of Tiger Patrols and old but effective Lanchester Armoured Cars. The Argylls also earned something of a reputation on the streets of Singapore where the Battle of Lavender Street and the Battle of the Union Jack Club with the Australian troops confirmed their fighting reputation even before the Japanese invaded. Early in the Malayan Campaign 12th Indian Infantry Brigade became the rearguard of the retreating 11th Indian Division. In a series of engagements at Titi Karangan, Sumpitan, Lenggong, Kota Tampan, Gopeng Dipang and Telok Anson the Argylls time and again gave vastly superior numbers of Japanese a very bad time, inflicting such casualties on the Japanese 5th Infantry Division that the Imperial Guards had to be brought south to relieve them. However, the Argylls were now exhausted and severely depleted. On January 7th 1942 at Slim River the Japanese brought their tanks and motorised infantry into play. The Argylls were among the battalions decimated. Only 94 Argylls returned to British lines. Several hundred more were thrown into the jungle where many remained at liberty for weeks and months and two men remained free until August 1945. A few reached Sumatra but most either died in the jungle or were captured and interned in Pudu Gaol KL and Taiping Gaol. After further rearguard duties the surviving Argylls were returned to Singapore where they were joined by Argylls wounded earlier in the campaign and a number of junior officers commissioned from the Malayan Volunteers and Police. Eventually they numbered 250 men who were to act as rearguard during the crossing of the Causeway to Singapore. On January 29th 1942 the 210 Royal Marines, survivors from HMS Prince of Wales and Repulse, were moved to Tyersall Park Camp to join the 250 Argylls. On February 3rd the Argylls and Marines were amalgamated into a composite battalion known as the Plymouth Argylls. The Argylls old association with Plymouth, their influence on the creation of its football team and the fact that the Marines were of the Plymouth Division were good reasons for this nickname. Lt Colonel Stewart trained the Plymouth Argylls emphasising co-operation between armoured cars and widely dispersed infantry. On the night of February 8th 1942 the Japanese successfully crossed the Straits of Johore and gained a foothold on Singapore's north western shore. As exhausted and demoralised Australian defenders withdrew, the Plymouth Argylls were ordered, late on the morning of February 9th, to advance northwards up the Bukit Timah Road then westward along the Choa Chu Kang Road towards Tengah airfield. Shortly after debussing into the rubber and advancing on foot, the Royal Marines came under air attack and suffered casualties. Some sections became lost in wide night time dispersal in unfamiliar terrain. Two more days of fighting followed as the Plymouth Argylls engaged the Japanese between Tengah and the Dairy Farm that lay east of the Upper Bukit Timah Road. Most of the Argylls were cut off when the Japanese brought their tanks down the road, smashing through two Plymouth Argyll roadblocks. The main body of Royal Marines escaped across the Dairy Farm and down the Pipeline to the Golf Course, stretchering away a wounded Argyll officer. No sooner had they arrived back at Tyersall Park than the camp and the neighbouring Indian Military Hospital were destroyed in an air attack. In the confusion that followed and subsequent shelling and mortaring, there was a further dispersal of men including those wounded. When the surrender came on February 15th only some 40 Royal Marines remained in the trenches in the burnt-out Tyersall Park. 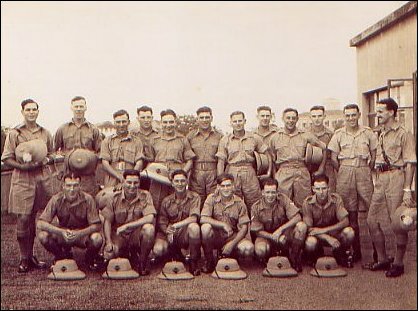 Many Royal Marines, either deployed to Keppel Harbour or lost in the Bukit Timah fighting, spent the final days before the surrender assisting with the evacuation of civilians from Singapore to Sumatra. 25 Marines were ordered aboard HMS Tapah [captured]; others on HMS Grasshopper [sunk] and Mata Hari [captured]. Some escaped on Chinese junks, prahus and yachts. Most of those who survived entered captivity in Sumatra at Palembang and Padang, but some 22 made it to Ceylon as did 52 Argylls. 31 Royal Marines were killed-in-action, died of wounds at Singapore or were lost at sea assisting in the evacuation of civilians to Sumatra. 220 Argylls were killed in action or died of wounds in the Malayan Campaign. The Argylls and Marines at Tyersall Park were ordered by the Japanese to march to Changi on February 17th. Headed by Piper Charles Stuart they marched out of Tyersall Park. Hundreds of soldiers from other units stood to attention as they passed. In fact, Captains Aylwin, Lang and Slessor [2A & SH] had no intention that their men march to Changi. A few hundred yards along the way, what was left of the battalion transport drew up and embussed them into captivity passing marching columns of POWs. At first the Plymouth Argylls were quartered in the Changi Village shops area. Many were subsequently sent to smaller work camps at River Valley, Havelock Road and Kranji. In June 1942 the movement of POWs from Changi to Thailand to build the Death Railway began. From Singapore to Ban Pong in crowded rice wagons, then force-marched to Kanchanaburi and Chungkai and then on to jungle camps further up the line to Burma. Many of those who survived this were sent in 1944 by sea to Japan as slave labour, many of the ships being sunk by Allied submarines on the journey with huge loss of life. When liberation finally came in September 1945 192 Argylls and 33 Plymouth Argyll Royal Marines had died in captivity. 'The Thin Red Line, 2nd Argylls in Malaya' by Brigadier I M Stewart (Thomas Nelson, 1947) - Recently reprinted by the Regimental Museum. Captain R G S Lang's Report, Plymouth Argyll box and Peter Dunstan's documentation of both Royal Marine Detachments can be viewed by appointment at the Royal Marines Museum Archive, Southsea. The Papers of Major C D Aylwin RM can be viewed at the Imperial War Museum Reading Room by appointment. This includes a nominal roll of the HMS Prince of Wales RM Detachment and a detailed Captivity Diary. Jack Wardle, formerly HMS Repulse, has produced a nominal roll of the HMS Repulse RM Detachment. Researchers on the 2nd Argyll and Sutherland Highlanders will find a wealth of material in the Regimental Museum and Archive, Stirling Castle. Particularly interesting is the Battalian Record Book of QMS Aitken.